Zip Kicker is a special formula that sets the surfaces instantly. 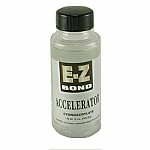 Once the surface is set, the catalytic action provided by ZIP Kicker forces the remaining liquid adhesive to cure. 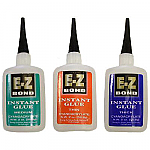 When used with EZ-Bond, Zip Kicker allows the forming of large fillets by preventing run-off and migrating of the adhesive. ZIP Kicker is especially useful for applications where the positioning of the parts to be bonded is difficult. Package contains one can. Item ships same or next business day. This item is $7.69 when your order exceeds $250 before shipping in qualifying items. 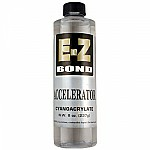 Hardware Tip: This spray has an acetone odor and is best used in a well ventilated area.